The active participation of the technical units in charge of health care, such health care facilities, surveillance units, environmental and mental health entities, health laboratories, etc., is critical during response operations. An effective response depends on these units being adequately prepared and equipped to deal with emergencies. This section outlines the action to strengthen key technical units. Disasters may increase the risk of disease. Therefore, epidemiological surveillance systems and disease prevention and control programs and should be in place. National epidemiological surveillance system and tools available for disease monitoring and control should be adequate and/or easy to use in disaster situations. An epidemiological surveillance system in disaster situations is based on the rapid establishment of sentinel sites, surveillance of notifiable diseases, use of practical report forms, and reporting based on symptoms and syndromes. Examples of the forms, along with main types of health information needed for decision-making, can be found in the guide to epidemiological health surveillance in disaster situations. 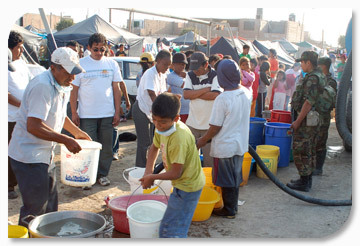 One of the immediate and common effects of disasters usually involves damage to water supply, sewerage, and drainage systems, as well as damage to basic sanitation services. The multi-agency publication The Challenge in Disaster Reduction for the Water and Sanitation Sector: improving quality of life by reducing vulnerabilities illustrates the severity of the situation for the disaster-affected population when problems are compounded by the absence of safe water. Along with real examples, it describes actions that can be taken to reduce the vulnerability of water and sanitation systems. 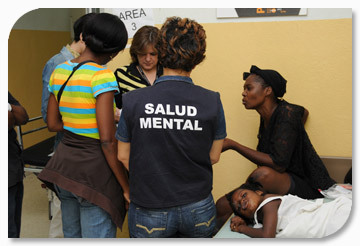 Mental health and psychosocial support for victims of natural disasters is increasingly growing importance. In addition to the consequences commonly witnessed during disaster events — devastation, destruction of infrastructure, environmental deterioration and the lack of basic services such as health care, drinking water and food — they also affect lives and cause disintegration in families and communities. Complex emergencies and disaster situations are accompanied by increased psychological suffering: grief and fear, and psychiatric morbidity and other social problems. It is estimated that between one-third and one-half of the affected population (depending on the magnitude of the event and other factors) manifest some psychological problems.